How do I use Hanna HomeFinder? 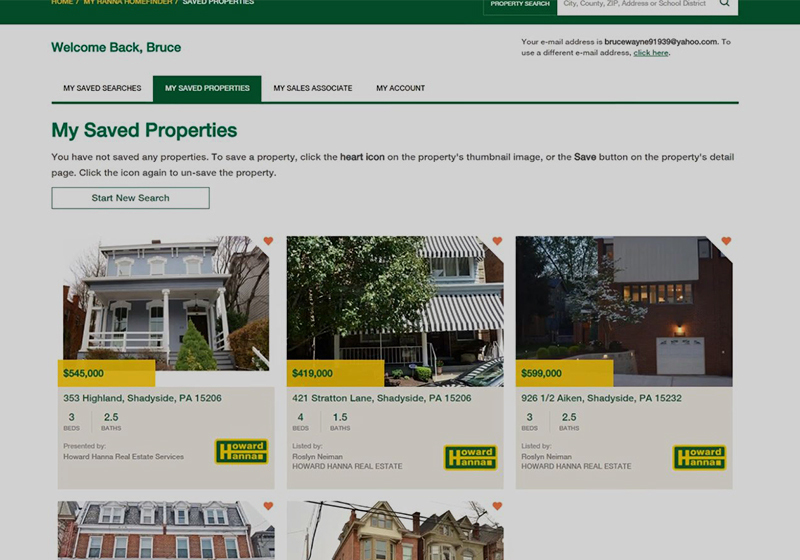 Whether you’re in the process of buying a home, selling a home, or you simply want to be knowledgeable about the real estate market around you, Hanna HomeFinder is the perfect tool to keep you informed. 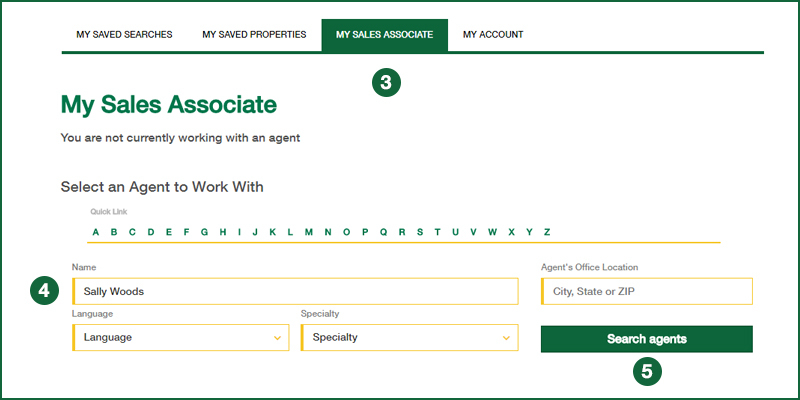 Create an account to save properties and search criteria that meet your needs, easily share your saved properties with your Howard Hanna sales associate, and request email alerts about new listings, open houses, and price changes that match your criteria. 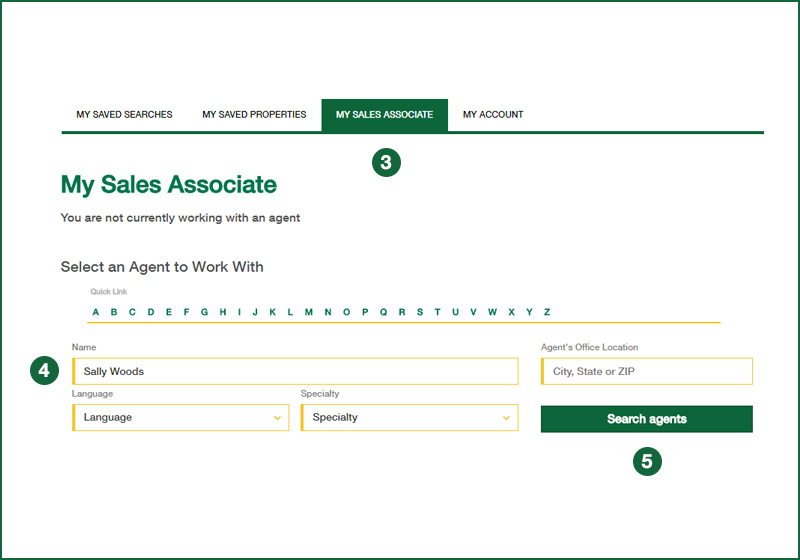 How do I add my agent to my Hanna HomeFinder? How do I search from the home page? Know exactly what you’re looking for? 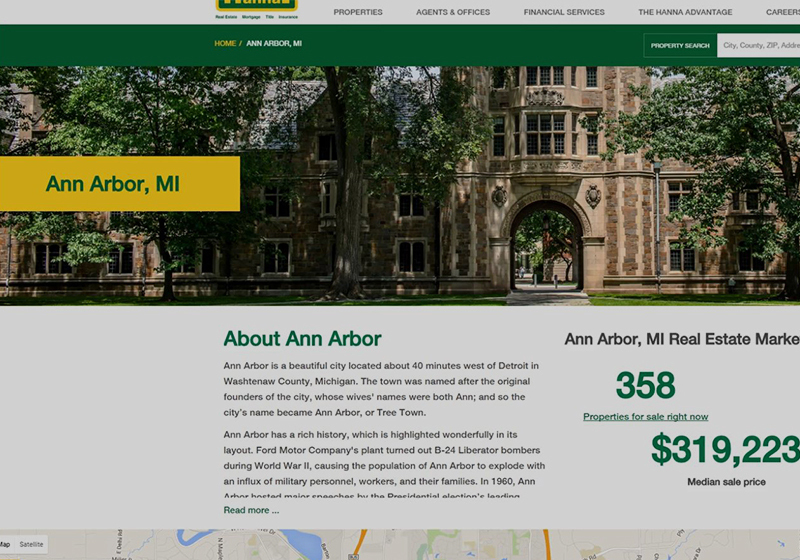 Type an address, MLS number, school district, city, state, or zip code into the flexible location search on the home page. You can also type multiple entries by separating each with a comma. After you click the search button, you’ll be able to change or refine your search criteria in the area above the search results. The advanced search is the best way to get the search results you’re looking for. With more search fields and filtering options than the simple search, you are able to weed out the listings that don’t meet your needs. After you click the search button, you’ll be able to change or refine your search criteria even further in the area above the search results. How do I find properties near specific school districts? School districts can have a huge impact on a buyer’s decision. 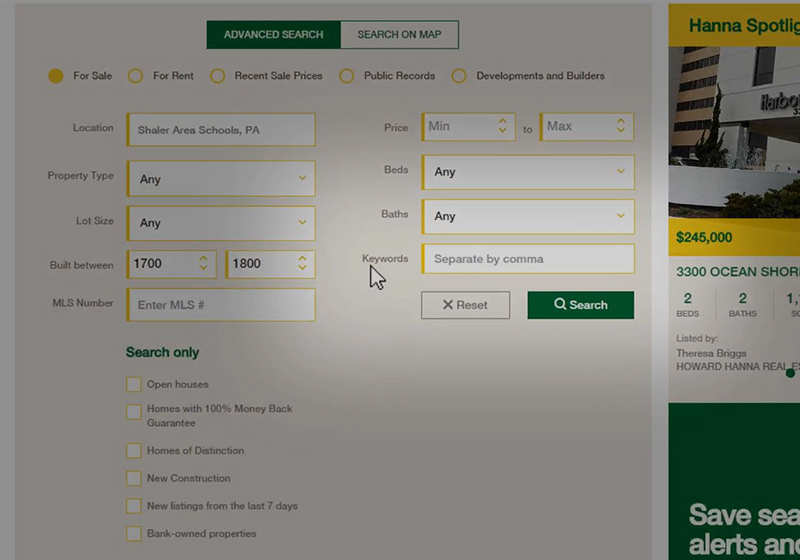 You can find properties in a specific school district by using either the simple search or the advanced search. Simply type the name of the school district in the search bar, or type multiple districts and separate each with a comma. After you click the search button, you can click the yellow Show Schools button on the lower-right corner of the map to reveal school locations and district boundaries. On each listing page, the Nearby Schools section provides more details about GreatSchools ratings, and which schools the listing address is assigned to based on school attendance zone boundaries. How can I learn more about the community I may be moving to? Curious about the neighborhood you’d like to call home? 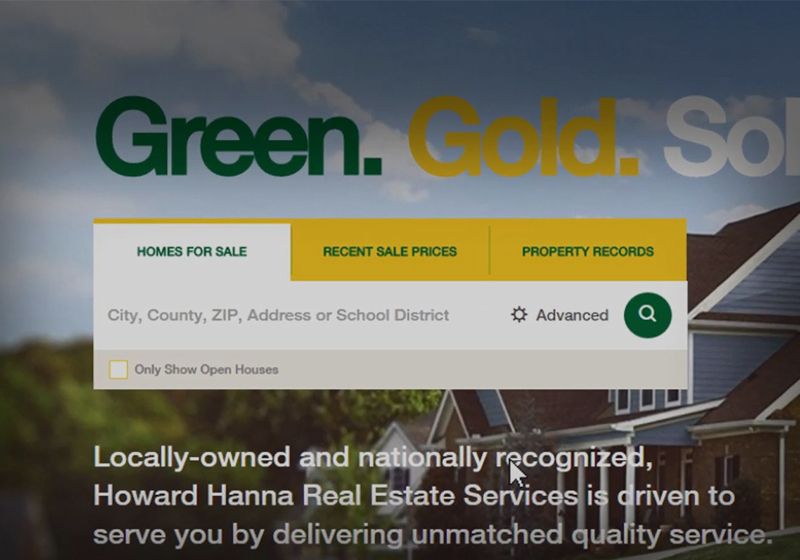 From any listing page, scroll to the Hanna Community View section, and click the yellow Explore living in... button. This community page will give you expert insight about the area, including a brief history, real estate trends and statistics, a map with local points of interest, school information, and even photos of iconic locations provided by our own local experts: Howard Hanna sales associates.